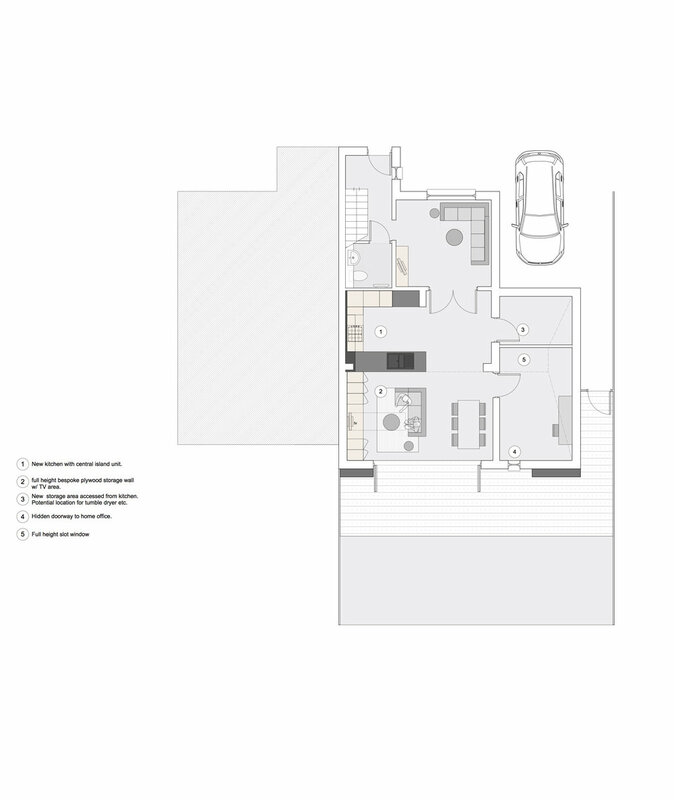 define/ have been commissioned to undertake the renovation and extension to an existing three bedroom 1970's semi-detached property in Brackley, UK. The design focuses around the creation of a new open plan living space where the young family can eat, relax and play; whilst transforming the front of the property into a formal living arrangement. A home office and store wrap around the side of the property creating a striking impact on the front elevation of the house. The connection between inside and outside was crucial to the design, with large bi-fold doors opening out into the rear garden creating a seamless transition. With a young family, open space and storage is key. A new full height storage and entertainment wall therefore runs the length of the space, creating a clutter free family area. A rich, yet robust material palette creates a strong contrast to the existing property.